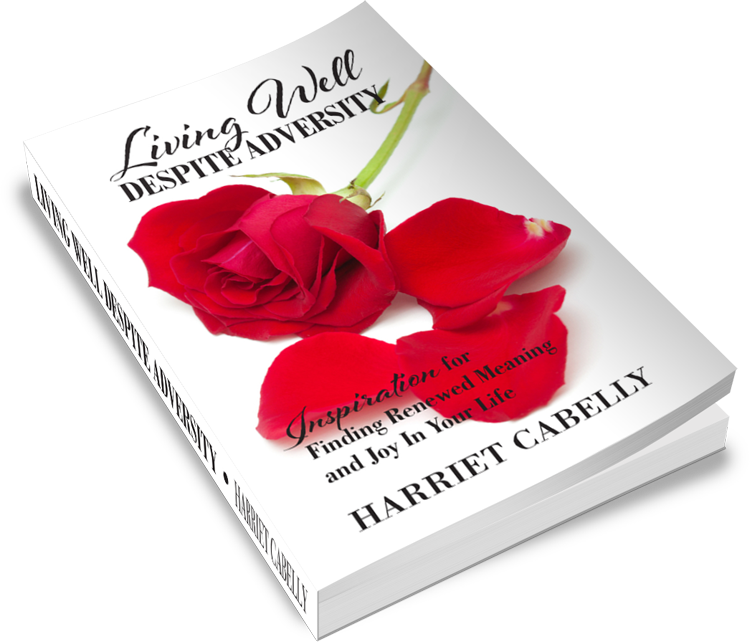 Harriet Cabelly's book, Living Well Despite Adversity... A collection of inspirational interviews for finding renewed meaning and joy in your life. Cheryl Strayed, Temple Grandin, Meredith Vieira and others share their honest accounts of heartbreak, and the secrets they discovered that led them to triumph ‘despite it all’. In this collection of interviews, Harriet Cabelly has dug deep to reveal the critical wisdom found in the midst of huge challenge or loss. She highlights themes such as purpose and gratitude that all of us can incorporate into our lives as we go through our own difficult times. In particular, she reflects on the importance of developing resilience and a positive attitude, even in the face of insufferable odds. The people in this book don’t flinch from telling it how it really is. Their stories are raw, at times, as they openly describe their struggles and how they have learned to cope with loss, disability or addiction. Their stories will strengthen and inspire you. They will show that you, too, can come out the other side of heartbreak intact and go on to rebuild a life filled with renewed meaning and joy. That, despite it all, you can thrive. Psy.D., author of A Short Course in Happiness After Loss (and Other Dark, Difficult Times).